Hahn was born in Frankfurt am Main, Germany, on March 8, 1879. Although he exhibited some early interest in science, he was more taken by athletics, religious studies, and music. Even at the University of Marburg, where he pursued a degree in chemistry, he was inclined toward art and philosophy. He earned his doctorate in 1901, completed a year of military service, and returned to Marburg as a lecture assistant. From 1904 to 1906 Hahn worked in London and Montreal with expert radio­ chemists William Ramsay and ERNEST RUTHERFORD Working with Ramsay and Rutherford, he gained proficiency at research techniques used in the study of radioactivity. Returning to Germany in 1906 to take a post at the University of Berlin, he was joined by physicist Lise Meitner. Prohibited from working together in an official university laboratory (because Meitner was a woman), the two set up a makeshift laboratory in a basement. In 1912 Hahn and Meitner moved to the newly established Institute for Chemistry at Berlin­ Dahlen, where the relatively radiation­ free surroundings allowed the detection of several weak radioactive isotopes. They performed important experiments with the newly identified element protactinium, which they named. 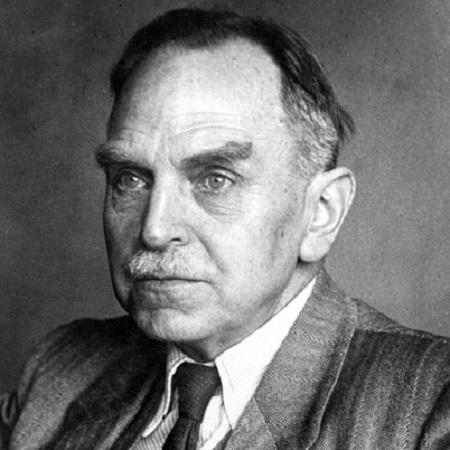 Hahn and Strassmann were awarded the 1944 Nobel Prize for Chemistry, and after World War II, Hahn helped rebuild the scientific community of West Germany. He was also active in the effort to curb misuses of nuclear energy. Hahn died on July 28, 1968, in Göttingen, West Germany. Hahn’s work was crucial to the development of the atomic age. Within a few months of Hahn’s experiments with uranium, the potential of nuclear fission had been recognized. Soon after Meitner published her interpretation of Hahn’s experimental results, others showed that a great deal of energy is released during nuclear fission when the original nucleus splits. The news spread quickly, reaching the United States early in 1939 when Danish physicist NIELS BOHR met with Fermi and ALBERT EINSTEIN. Fermi proposed that neutrons, along with energy, might be emitted during fission, starting a chain reaction in which the newly emitted neutrons bombard and trigger fission in neighboring uranium atoms, releasing massive amounts of energy. By the spring of 1939, it was public knowledge that the enormous energy produced by nuclear fission could, theoretically, be used to create bombs or to generate controlled power. In only a few years these theories were realized. A clandestine program, the Manhattan Project (directed by J. ROBERT OPPENHEIMER), began in the United States with the goal of creating an atom bomb. To fuel the project with plutonium, Fermi built the world’s first nuclear reactor in Chicago in 1942. The first atom bomb was tested in 1945, and later that year two bombs were dropped on Japan, causing horrific devastation and ending World War II in the Pacific. After the war, nuclear fission lent itself to the development of nuclear arsenals, nuclear power plants, and pure physics research.